When you get to the Classifieds page, you’ll see a list of all the current ads. Up at the top is a way to search the classifieds, which might come in handy if you are looking for something specific and there are a lot of ads. You can search by keyword or location. You also have a choice of how to view the ads. The icon with four boxes under the keyword search will present them as a grid, or you can switch back to the way they are to start, as a list. Click on any classified ad to get the full listing. You see who posted it, when the ad went up, the category for the ad, the location, a description, associated images, and contact information. If there’s a phone number, phone viewers can click to make the call. You can also send a message directly to the ad owner with questions. To get your own ad, use Classifieds menu drop-down to select “add new classified,” or look for the same under the “contribute” menu. If you aren’t logged in, you’ll be asked to log in. It’s required so you can keep track of your ad, and we won’t get bogus submissions. Give your ad a descriptive title, select a category (or more,) add a photo, and write up a description with good details. You can indicate the price, and provide a location if appropriate. Listings are completely free, except for available jobs and housing (rentals, for sale, commercial, etc.). Select the type of ad, then preview your submission. For free ads, if you like the preview, click “Publish Your Listing” to submit it. For paid ads, you have a choice of PayPal or cash/check. Once payment is received, we’ll post your ad. The only other thing to know is that the latest ads will be displayed on the homepage, as well as in the Classifieds section. Pretty cool, eh? 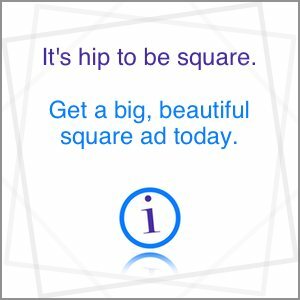 So if you have things to get rid of, tag sales scheduled, houses to rent, or are interested in what others have to offer, give the iBrattleboro Classifieds a try.